Some people take their board games very, very seriously. They want intense, complex, and mind-expanding games that consume hours of their time and gigawatts of mental energy. These games are not for those people. 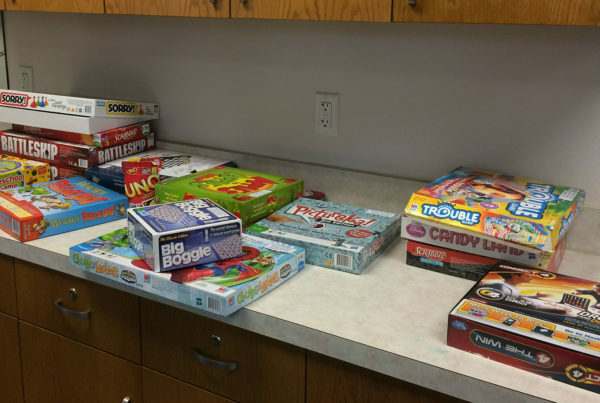 The majority of players want to play board games to relax. It’s a rare chance to spend time with family and friends. They want games that are simple to play and learn. To be clear, I’m not talking about games aimed at children. I have an entirely different article for that. I’m talking about games that are meant for everyone in terms of skill, but can still have serious themes like war – the sorts of games you can enjoy while still having a conversation and a drink. 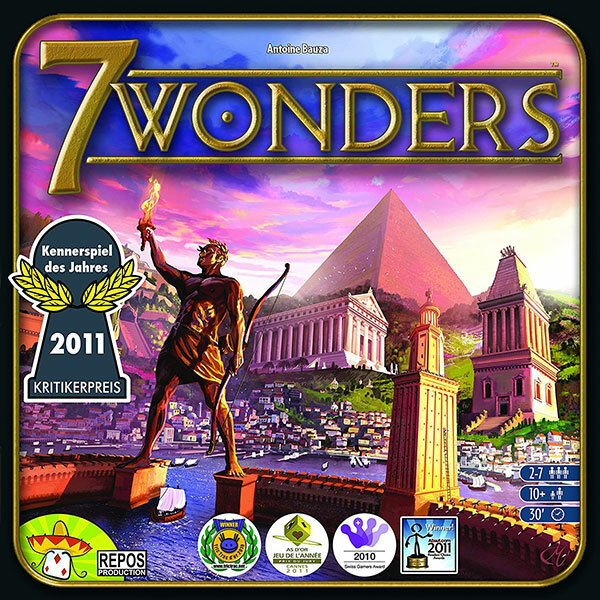 Not only is the card-based board game 7 Wonders easy to learn and play, this is one of the most highly-regarded board games – period. Since being released in 2010, the game has collected more than 30 awards and continues to top “best board game” rankings across the web. This game can be played with up to seven people in total, and a game only takes about half an hour to complete. The idea is to build one of the seven wonders of classical antiquity. You do this by drawing cards and applying their effects to your wonder board. The game has a coin currency and resources which you can use to attain enough victory points to win. Completing stages of your wonder is one way in which to earn these points. You also get them for building your economic, military, civic, and scientific might. Oh look, yet another game recommendation list on my site that mentions Catan. Yes, there’s just no way of avoiding this board game wunderkind, is there? 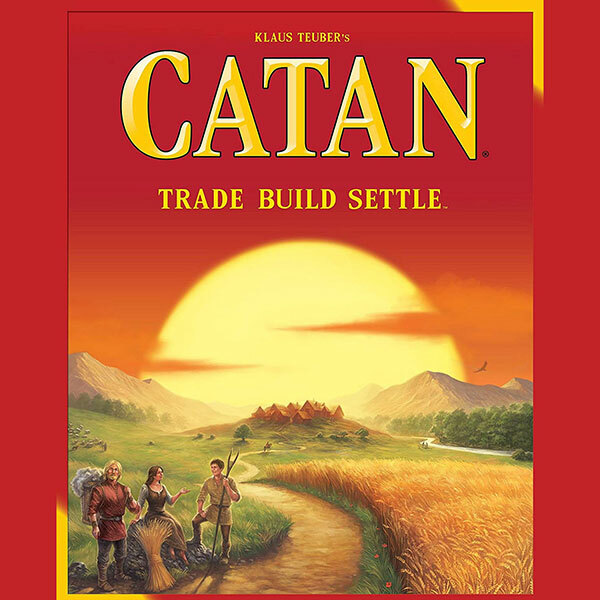 Catan has been around since 1995 and has become insanely popular since then. There’s a good chance someone within a mile of you has a copy stashed away somewhere. This was basically the game that brought German-style board games into the mainstream. The game is set on the island of Catan. The players have to settle on this new land and compete for its resources. The actual island is represented by hexagonal spaces on the board. You lay these out yourself randomly at the start of each game, which is why no two games of Catan are alike. Each hexagon represent a type of land that mostly produces resources and accommodates settlements. Players collect victory points by building settlements, roads, armies, and cards that award these points. Catan is easy to learn, fun to play, and pretty affordable these days. There are also many different editions and variations to choose from. Here is another game that I have put into multiple lists. Ticket to Ride is another German-style board game that has become such a mainstream hit even people who don’t play board games will know about it. The game is satisfying yet incredibly accessible; it should be on any list of easy games that everyone can get in on. Launched in 2004, Ticket to Ride is for between two and five players. Games usually last between thirty minutes and an hour. The rules are simple enough that most people can learn them in 15 minutes. However, the game itself is quite fun and exciting while also pushing your strategic thinking muscles a little bit. 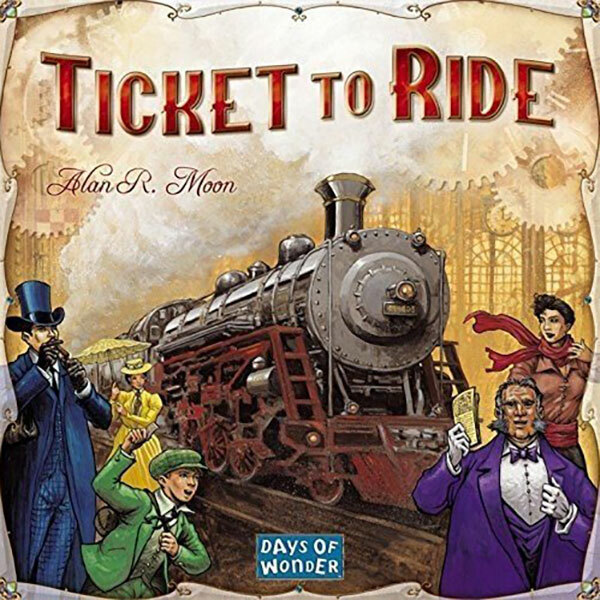 Ticket to Ride is all about building train routes to complete the secret destination tickets dealt at the start of the game. You earn points by completing routes. At the end of the game the player with the most points wins. Not only is this a simple and entertaining game, the actual physical game is well made and beautiful to look at. Like Catan, Ticket to Ride has become a sort of minimum requirement for a board game collection. Would you look at that, yet another German-style game makes the list. This is, however, not one I have mentioned anywhere else. At least, I don’t think I did! Published in the year 2000, Carcassonne is a fast game that’s usually over in just 45 minutes. The name comes from a town that goes back to medieval times and is located in the South of France. It’s a tile-placement game, which means that you and the other players build the board yourself. 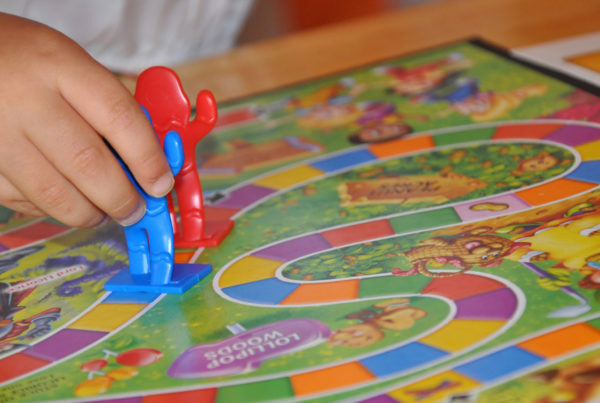 Players also have game pieces, known as “meeples”, that can be placed on the tiles, where they take on different identities and earn the player points at each turn. When a player draws a tile, they have to place it adjacent to the tiles that are already in play. They have to be placed in a way that extends the landscape. Placing a meeple on a feature of the tile claims it and earns points. When the last tile has been drawn and placed, all of the followers and their features are tallied to get the final score. The player with the highest score wins. The game is much more tactical than it sounds. There are rules that prohibit claiming certain features on tiles until they are complete. So you can mess with the plans of other players who are bargaining on the future fact of that completion. 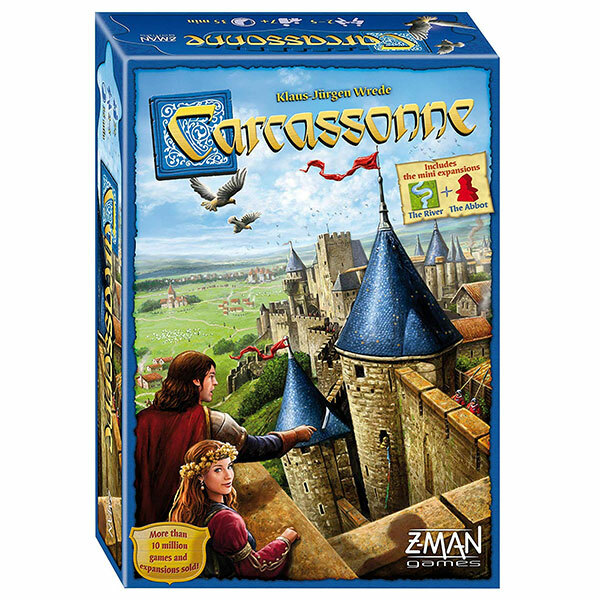 Carcassonne is another “gateway” board game that makes it easy to get people into the hobby. It’s beautifully made, fun, and fast to learn. Another no-brainer for the general household collection. This game is well-regarded for its overall level of simplicity, but engaging theme and gameplay. Set during the American revolutionary war, you play as either the American or British forces. 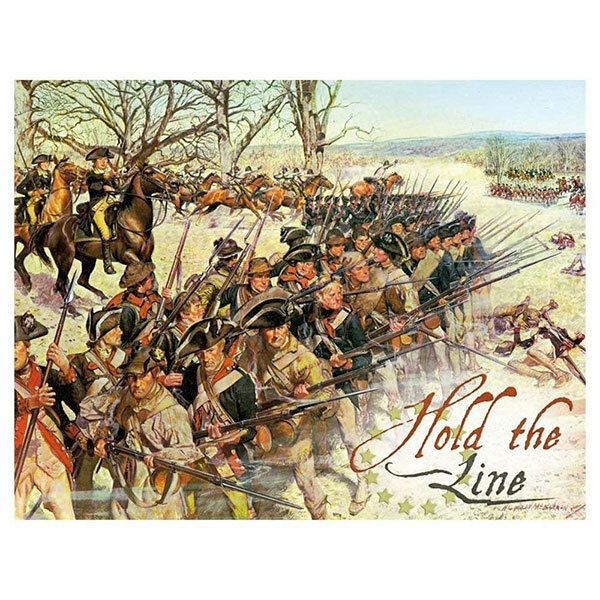 There are twelve different historical scenarios where each player tries to “hold the line” against the other. That means this game is also pretty educational if you ever wanted to learn which battles are notable in the fight for US independence from the Crown. The game uses a terrain map and counters to represent different military units. The two different factions in this game have opposing goals. The British want the Americans to surrender or they’ll wipe them out. The Americans sort of agree – it’s victory or death. Players generally describe Hold the Line as a “light” wargame, and if you look at typical play times that’s true. Your battle for independence will be over one way or another in 60 minutes or less. It’s also worth noting that this game has a big, beautiful mounted game board. It is a little pricey, thanks to the quality of the game, but I think it’s well worth the cost. This game has turned out to be a rather surprising hit, despite the rather depressing premise. In Pandemic, the world has been struck by not one but FOUR killer diseases, each threatening to wipe out a region of the world. Players work together to try to contain, and perhaps defeat, these diseases. Each player takes on a specialist role, which is assigned randomly. The game board has a staggering 48 cities; all potential spots for disgusting viruses and bacteria to wreak havoc. The game uses various cards to introduce positive and negative events and elements. Players are represented by pawn pieces that travel all over the world fighting the good fight. You really have to work together well in order to win. Until people figure out a good team dynamic, most games will end in defeat. In fact, of the four game-ending conditions only one is a victory condition. 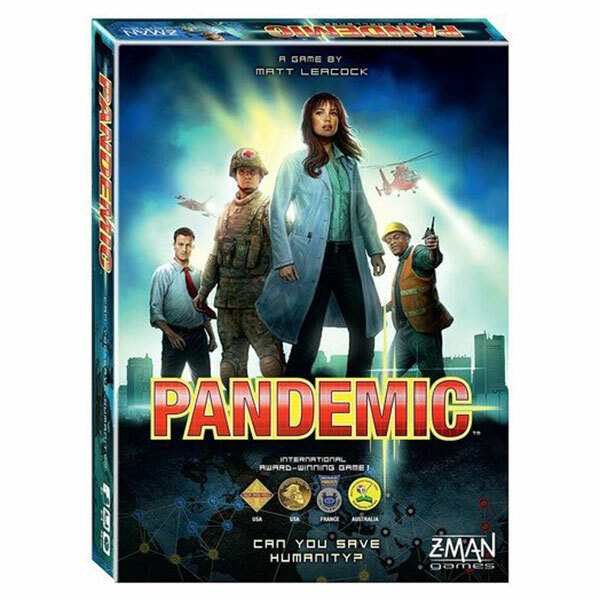 Despite the grim subject and tendency towards losing, Pandemic has become a family favorite. It’s also spawned a ton of expansions and story additions. So once you own the base game you can really beef it up if everyone is getting bored. This is a top recommendation from me. Dungeon! is a board game that carries an incredible pedigree with it. The game was designed by a group of tabletop luminaries, including the late and very great Gary Gygax. 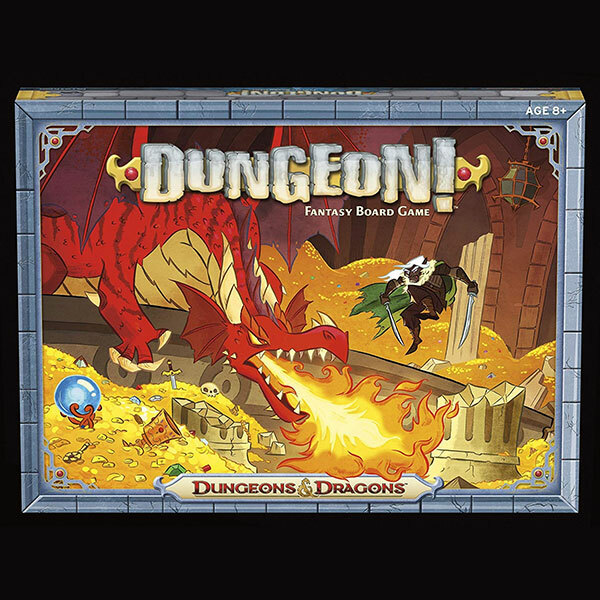 Maybe it’s not that surprising that the creator of Dungeons and Dragons would also be involved with a board game called Dungeon! Nonetheless, this game shows that these guys can also make simple, streamlined games along with their deep and complex tabletop RPGs. There are many elements in Dungeon! that come straight from D&D. First and most obvious is the Dungeon setting. The game is essentially a dungeon crawl. Although modern D&D takes place in any setting, the first iteration of the game was actually also just a dungeon crawl, so the board game doesn’t wander too far from its cousin. The original came out in 1975, just a year after the original D&D. The game had been in a prototype form since at least 1972, though. The dungeon in this game is pretty simple and has only six levels. Players can choose character classes and roam the dungeon looking to defeat the creatures they find there. Like D&D, each class has their own ability. Unlike D&D you are not playing together as a party. Instead, you are in a race to make it back out of the dungeon with enough loot to win the day. There are five different editions of the game and choosing which one you want is a pretty important decision. As you can imagine, the original edition of the game is quite collectible; even if you did find a copy, it’s likely to be in pretty rough shape. There is something to be said for the vintage artwork and design, though. You might have better luck getting a copy of the ‘89 and ‘92 releases, although even those are pretty old by now. The editions that are on sale these days were released either in 2012 or 2014. The game has been completely rebranded to be an official part of the Dungeons & Dragons brand. It’s the property of Wizards of the Coast. Although the rules of the game haven’t really changed over the years, the character classes that are included have. The models of the heroes included in the latest versions are also bigger and nicer than those included in previous decades. One interesting aspect of Dungeon! is that different characters require different amounts of gold pieces to win the game. So if you pick a more powerful character, you have to collect more gold to win. This means venturing to the deeper levels of the dungeon, where tougher monsters yield more gold. The game is much simplified, something that was criticized back in the day. These days I can really appreciate the fun of the simplified “D&D light”. Combat encounters – when you meet up with a creature on a monster card – require just one or two dice rolls. When you defeat a monster, you get the treasure card under it and that becomes a part of your loot. Dungeon! is an excellent entry-level game that gives off those dungeon crawler vibes without being alienating. That makes it an excellent choice for simple games. 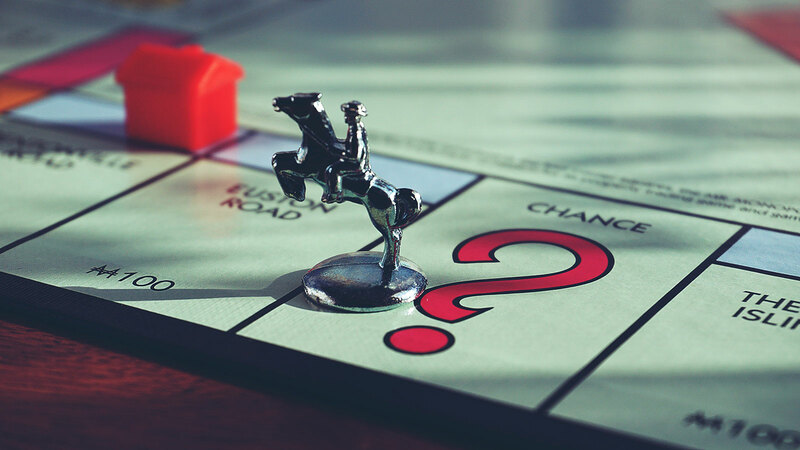 It’s tempting to start thinking of simple board games as ones that serious players or adults won’t enjoy. As you can see, nothing can be further from the truth. Just because a game is mechanically simple or has few rules doesn’t mean that it can’t be exciting and even challenging. It does mean that you can convince people who don’t play board games to join you. These games don’t require buy-in from lots of people, or scheduling to prepare. If you have some friends over or are visiting someone else, it’s easy to just whip out the board and convince them to join in a quick game. 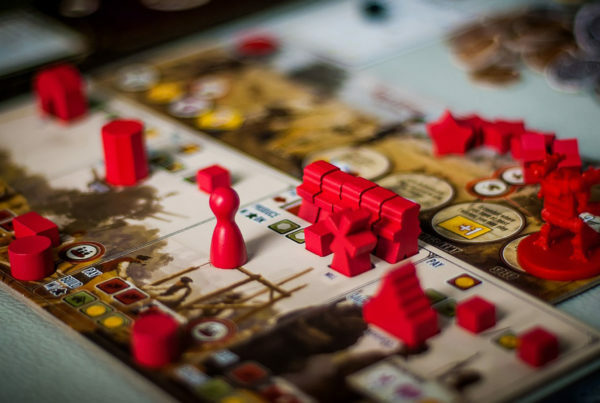 You don’t have to progress beyond these casual games, but they could also be a gateway to more involved and deep hobby board games. Both choices are good, so what have you got to lose?